Why a relay is needed? What are the benefits of a relay? (running on the 3CX server) from anywhere on the internal network or over the public internet. and all of our applications instantly become compatible with the new version of 3CX. Press ESC TO GO BACK. (1) Using a Web Browser. TIP:  If this is a cloud machine and the link shows a local IP address then you need to replace the local ip with your public IP Address. AWS Lightsail is a low-cost hosting platform provided by Amazon. For small 3CX environments, you can host the Linux version of 3CX for as little as $5 per month. When installing 3CX Express for Lightsail, a Linux user “admin” is automatically created. No password is required, rather, you must download a security key from Lightsail. An SSH key is like a password, but much longer and, consequently, saved in a file on your computer. In addition to being a password, it can provide additional features related to security. Although I’m calling it a key here, it’s actually a key pair, with Amazon holding the public key and you holding the private key. Once you’ve logged into your Amazon Web Services account with your username and password, all other interactions require SSH keys rather than passwords. At a minimum, you need one SSH key pair for each Amazon region you use and you can have up to 100 key pairs per region. For each Amazon region, one of your key pairs is the default pair. When you create a new Lightsail instance, it will use the default pair unless you specify differently. When you create a new instance, the link to Change SSH key pair is right below the link to Add a launch script. Your initial key pair is set up when you create your Lightsail account. If you love to be confused, or if you have another, better reason, you can set up more key pairs by clicking the Account button at the top of your Amazon Lightsail dashboard. One of the tabs on the page that appears is named SSH keys. This is where you create new key pairs. After you create a key pair, you download its private key, which is a small file that ends with .pem. One of the additional security features of SSH keys is confirmation that you’re actually connecting to your own instance and not being clandestinely misdirected to a charnel house trying to steal your private key. However, the first time you connect to your instance from any of these programs, you’re likely to get a message saying The server’s host key was not found in the cache. If this is your first connection, click the Yes button to trust the connection. Once you have installed FileZilla, the hardest part is figuring out what to do after you start the program. You need to get to the FileZilla Site Manager. Here are three ways to do that: click the icon immediately below the File menu, pick Site Manager… from the File menu, or press ctrl-S. Otherwise, the FileZilla user interface is a breeze compared to the one for PuTTY. On the left side of the FileZilla site manager you create, organize, and delete site configurations. On the right side there’s a section with four tabs, but everything you need to enter is on the first one, General. First click the New Site button and give this connection a name. For Host, enter the public IP or domain name of your instance. For Protocol, select SFTP – SSH File Transfer Protocol. For Logon Type use Key file. For User enter ec2-user. For Key file, browse to and select your .ppk file. Finally, click the Connect button, which will both save this site’s configuration and connect you. The list of files on the left are on your computer and the list on the right are on your Lightsail instance. Dragging files from one side to the other copies them between your computer and your instance. Here’s the FileZilla USER GUIDE. One really nice feature of Lightsail is an integrated web-based SSH client. To access the Debian command line, you need to use an SSH client. Examples of standalone SSH clients include tools like “putty” and “WinSCP”. Obviously, a web-based SSH client has some limitations (can’t use a mouse for example), but it provides the convenience of instant access without having to download, install, and configure an SSH client. You will use an SSH client to create folders, set file permissions, and other “fun” stuff. Download WinSCP HERE. For the most part it does the same thing FileZilla does, but it has some additional features, including a tighter relationship with PuTTY. The feature I like best, however, is an integrated text editor that lets you see what’s inside files just by double-clicking on the file’s name. When you start WinSCP it also automatically opens the equivalent of FileZilla’s site manager, which is a window called Login. From there however, we’re back to PuTTY-like hidden configuration options. In the site area on the left, pick New Site. Then, on the right, File protocol should be SFTP; Host name is the public IP number or domain name of your instance; and User name is ec2-user. Leave Password blank. Now click the Advanced… button. (If instead you click the dropdown triangle on that button, then select Advanced… from the menu that appears.) In either case, a PuTTY-like window appears with categories on the left and configuration options on the right. Ignore it all except the Authentication sub-category under the SSH category. That’s where you’ll find the Private key file field. Click the icon at the end of the field to browse to your .ppk file. Then click OK, then Save, then Login. WinSCP defaults to an interface similar to FileZilla’s, but if you select the Options menu, then Preferences…, then Interface (under Environment) you can change it to a Windows Explorer-like interface. In this case WinSCP shows you only the files on your Lightsail instance. To copy files back and forth you drag them between WinSCP and Windows Explorer. WinSCP also has a Properties button that you can use to change the ownership or permissions of files, which otherwise you’d have to do with chown and chmod commands in a bash terminal connection. 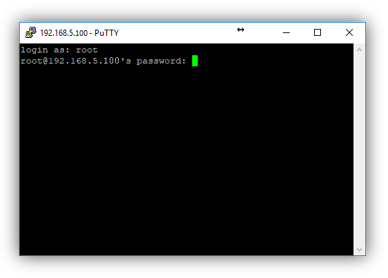 Using a SSH client (WinSCP, Putty, etc.) create the following folder structure on your Linux server. Note that the Relay assumes this path so this path is required, and remember Linux is case sensitive, so be sure to create the folder structure in all lowercase. Download the 3CX Relay for Linux from the VoIPTools website. Register the Relay using your license key. The contact information should be the end user (customer). 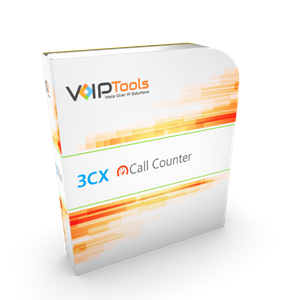 Be sure to include the Reseller’s company name if purchased through a 3CX Partner. Choose “Next” to move to the configuration screen. The configuration screen lists a number of steps that can be completed by the setup program. If you want to skip any of the tasks, simply remove the checkmark (tick) from each option. Relay Port: This is the port VoIPTools products use to communicate with the Relay. By default, this port is closed and must be opened on your firewall. If you need to change the port number used by the Relay, you can change it here. Note: The installer will attempt to update iptables to allow traffic to reach the Relay. Relay Daemon: The Relay should start automatically when the 3CX server is booted and be configured to run at all times so our add-ons can access the 3CX Call Control API. A Linux “Daemon” is analogous to a Windows service in that it ensures the Relay is always running. Proxy port: This “optional” port is used by 3CX Exporter. If you do no use Exporter, it is not necessary to open this port on your firewall. This is the public port used by the PostgreSQL proxy. The proxy enables 3CX Exporter to synchronize 3CX data with an external database. Proxy Daemon: This proxy is only needed if you are using 3CX Exporter. Like the Relay daemon, this task sets up a Linux daemon to ensure the proxy automatically starts when the server boots. This step configures a daemon using systemd. Save: This button runs each of the selected setup tasks. Start / Stop Relay: Once the Daemon is created (steps above), this button can start or stop the 3CX Relay daemon (service).